We touched His glory this weekend at a Releasing Kings conference. Like breaking the alabaster box and releasing the fragrance, we released some of His glory from within the saints. We’ll never know the full ramifications until heaven. My heart is full and satisfied that we did what the Father was doing. We’ve been given the privilege of pioneering a new facet of His anointing and presence and power. It is worship in my heart, and I can offer it to God with tears of gratitude… that we got to pull the curtain back and see the riches of His glory in the saints. Pretty amazing! We saw mighty men and women in Hermiston. I was amazed at the open doors of opportunity to influence their community some of these folks have. We just tossed a match into the kindling. Something viral is about to take off. Now we just hold the seed sown in prayer and encouragement and coaching until it produces the dream in His precious saints… Thy Kingdom come (now) in earth as it is in heaven. Viral phenomena – Viral is an asymptotic increase. When organic nitrates ignite, the reaction / burn rate is so fast that we usually describe it as an explosion (Dynamite). When fissionable material reaches a critical mass, a chain reaction begins that can fuel a reactor or make a bomb. In biology, viral can refer to the rapid spread of a disease. On the internet, it can refer to the spread of an idea or article. In economics, marketing, and sociology the start of a trend that goes viral is called a tipping point. “Viral” has become a way to describe how thoughts, information and trends move into and through a human population. We have seen the same phenomena in church and we call it revival. The presence and power of God reaches a tipping point and multiplies and spreads through a culture. Viral Kingdom – There is something new happening. We’re seeing servants become friends and Kings (Jn 15:15). “Static” defines a servant following the dream of another person. But, when he adopts the dream as his own or follows the desires of his own heart, that servant becomes a King and goes viral with self-motivation. That’s when believers become contagious. They tap into their own mountain, their own desires, imagination, revelation and creativity. Then, they get really excited and fruitful in terms of results, productivity, finances and ministry. They find a place in life where their heart’s desire, their ministry, the will of God, their vocation, and their finances all are all aligned with the Kingdom. 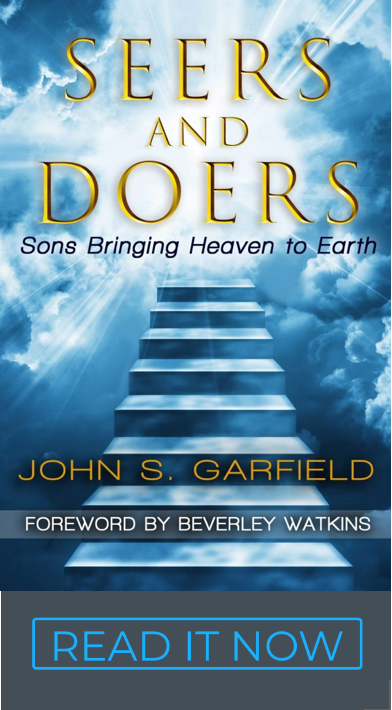 In short, they find their purpose in life… that God had written right inside their own heart. Making Viral Disciples – I want to suggest that revivals and reformations are symptoms of viral people. Yes, they are fueled by God, but it is our responsibility to get fueled up. It happens in about three phases of discipleship usually occurring in our churches. About one third of the church is busy getting saved, sanctified and healed. We often think of a church majoring in this area as a hospital. The next third is being equipped for involvement in ministry, usually inside the church or in church-sponsored initiatives. We think of churches majoring in equipping as training centers. The last third are people ready to define their dream, enter their mountain, go out and do something in the Kingdom. We haven’t had a category for Releasing Kings, because we haven’t been doing that in churches until recently. Helping mature believers move from servant to King and get excited about their own dream is exactly how we create viral disciples who are excited about the Kingdom and are contagious with enthusiasm. The real goal is to make disciples who can create wealth and convert money into ministry in their own mountain. We touched that realm in Hermiston. It’s holy ground. We saw numerous examples of God preparing people to have a significant impact in the community. “The riches of His glorious inheritance in the saints” is real. We saw it happen. Jesus said he would build his church (ecclesia). He didn’t invent that Greek word. Jesus borrowed it from the contemporary culture. Ecclesia, according to Wikipedia, was the ruling class of wealthy people who managed the affairs of the state. “Church” is a term for the leaders in the Kingdom Mountains of our culture. When we make disciples of new believers, viral, Kingdom disciples is the target. And we are just fine starting small, right where we’re at. God works through little people and small beginnings to do big things. There really is something “great” in your heart… put there by God. We are all called to change our image from small to “King” and to allow Him to make our names great. Habitual Hobbits is not an option in the Kingdom. You can do it too? – In the steps below, we’ve outlined 7 things you can do to tap into your mountain. The tool that I like most is our coaching module. It will help you find your own heart’s desire and implement it in a practical way. One of the biggest keys is writing your heart’s desires and plans on paper. Put your mind to work on that project and, when it’s in writing, use your mind to discern that it really is God’s plan, too. Your dream is worth some one-on-one time with someone who can encourage you and help you to make it real. Your destiny is worth it! Putting your dream first is putting the Kingdom first. There really is a place where your heart and God’s heart overlap. That’s where “life” begins. Get the free newsletter, connect on Face Book to stay in touch. We use Skype to talk to people all over the world. Networking is a huge Kingdom dynamic. List to the sound… Beverly Lewis and I discussed Kingdom impacts in an interview, “Have fun, make money and love people.” Listen to the recorded version here. Ray Edwards and I did a second interview that is just as good. Both are about an hour and give a great summary of marketplace ministry. Attend a conference if you can. There are two newsletters that summarize key elements of Releasing Kings: Have Fun, Make Money and Love People and A Kingdom Primer. Go through the coaching module and clarify your dream – if you’re stuck, we can help you from a coaching standpoint. Create the wealth and convert the money into your ministry dream to build the Kingdom. God has already written something vital and unique in your heart.